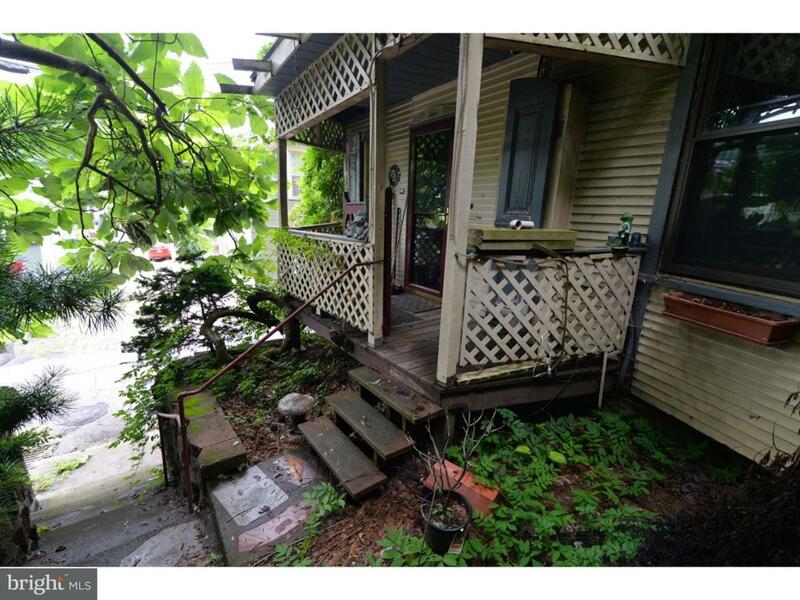 Ashland single (2 homes converted to one) with an open floor plan and lots of foliage surrounding the house for privacy. Includes two additional vacant lots (parcels #38-03-90 and 38-03-89). Additional lots are 100 x 100 total. Open floor plan enhances the modern kitchen by Thomas kitchens with granite countertops and 56 handles (2010). Hardwood floors, appliances 2013. First floor is air conditioned with heat pump, oil steam heat, furnace and oil tanks 2010. Hard wired smoke detectors. A natural stone wall enhances the living room with its working gas fireplace and double staircase. Newer windows on main floor (2010), half bath on main floor 5x3, ceiling fans. Mostly hardwood throughout. 85% rewired. Patio off Living room. Laundry room and office are combined. Rubber roof 2008. 2nd floor needs to be finished. Off street parking. Bridge to the pond. Security system.Over 75K worth of improvements as per seller. Pre-approved or proof of funds required. 24 hour notice. Green Remarks Damaged Window Panes On First Floor Will Be Replaced. 2nd Floor Needs To Be Finished.